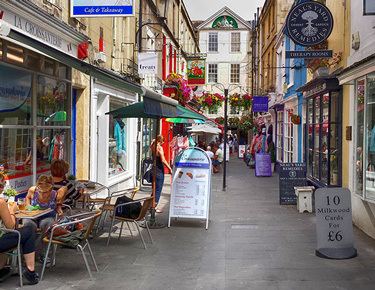 The World Heritage City of Bath is only a 35 minute drive from Wells Touring Park. 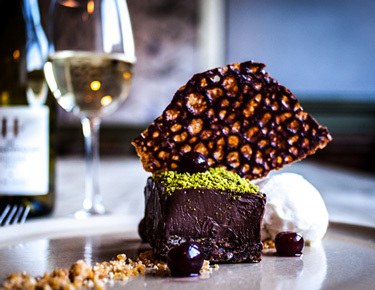 You can enjoy a multitude of activities in Bath and whether it is retail therapy or a cultural tour of the City, you are guaranteed a day to remember. Every day, the bus will take you into the heart of the city for £3.20 return and they run every 15 minutes. At weekends it is cheaper at £2.50 return. Having said that, the parking in the centre of the City is very reasonable and we would recommend the Central Car Park beside the Bus Station. Take an open top bus tour. 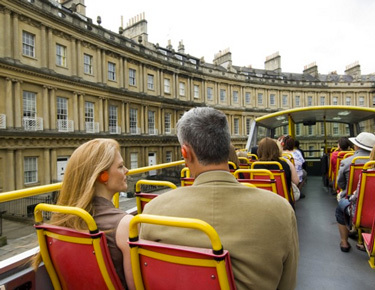 An amazing way to see the incredible sites of Bath. There are several tours to choose from and the knowledgeable tour guides are a wealth of information. You can take a look at the Visit Bath website for more information. Take a look into the History of Bath and how it got its “Spa” status. 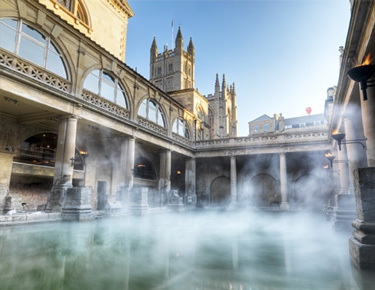 After the Roman Baths why not take a trip across the road and experience the Thermal Spa and experience breathtaking views of the City whilst soaking in the glorious Spa waters. 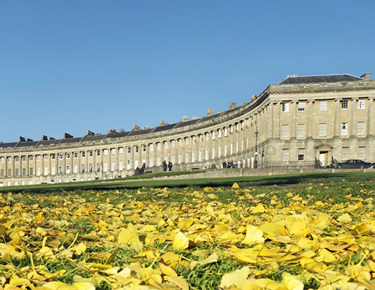 The Royal Crescent is a short walk from the central shopping area of the City and is an Architectural triumph. There is a museum at No:1 The Royal Crescent and is a chance to see a snapshot in time of how the Georgian upper class lived.